This is the fourth and final installment in the #Postac series, “A Provost Leaves Academia,” by Dr. Terri Givens. 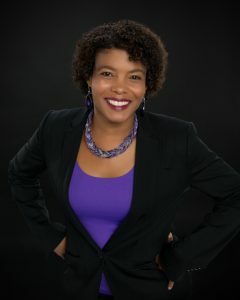 Dr. Terri Givens is a consultant in higher ed, and soon to be former provost at Menlo College. She has been a professor at the University of Washington and University of Texas at Austin, and is the proud mother of two teenage boys. As I write this, it has been a month since my last day at Menlo College, and I have to say that I’m still very excited about what the future may hold. What has surprised me the most about the transition from provost to consultant has been the sense of freedom I have felt. The amount of email I deal with daily has declined dramatically. I still have a lot of meetings, but they are usually shorter, more interesting, and I have time to think. Perhaps the biggest surprise is how natural it has been for me to work mainly from home, and to be exploring a variety of opportunities that I hadn’t considered before. In the last few weeks, I have accepted a position as the Executive Director of the Edgemakers Institute, but I’m still pursuing my consulting practice and exploring the world of edtech and how to build bridges between the tech world and higher ed. I spent the past week in Washington, D.C., attending a conference on teaching, as well as having meetings with folks on a variety of subjects. It was invigorating and I’m still processing all the possibilities that were discussed. When I got tenure, my sister suggested that I buy something tangible that represented for me what that accomplishment meant. I bought a pin of a woman flying. I still have that pin, and I intend to start wearing it again. What I feel is important right now isn’t necessarily how to package myself, but the fact that I can fly – and go where I want to go. That freedom is invaluable to me right now. I have always found that the universe responded to the energy that I gave to it. I have always had a powerful internal life force that matched my physicality. When I ran track in college, I ran with the best, and I excelled in school, getting accepted into one of the best graduate programs in the country when I went to continue my education. As a first-generation college-goer I never put limits on myself, because I didn’t know that I should. I hope that lack of limitations guides me now. Academia was all about limitations – where you could and couldn’t publish, what you should and shouldn’t do. I often ignored the naysayers, but not often enough. I know now that I must own my accomplishments and be willing to try the things that challenge me. I get frustrated with my (mostly female) friends who downplay their accomplishments and suffer from lack of self-esteem. I know that academia is an environment that can beat you down, but they have all accomplished so much, and I want them to be able to see it and own it. We are mothers, wives, sisters, researchers, writers, teachers, mentors, speakers, and so much more. Those of us from minority backgrounds have had so many other hurdles to overcome, and we need to be proud of how we made it here, and if we didn’t make it, we need to understand the institutional bias that kept us from succeeding. I will remain frustrated with academia in that there are still so many unnecessary hurdles that are put in front of people who could be amazing researchers and teachers. The stress and strain of graduate school, getting tenure and post-tenure review has caused great mental harm for many. It isn’t necessary and we all deserve better. For now, I will continue the battle outside of the ivory tower. I have much to do and say, and I hope you will continue to follow me through my blog posts, Inside Higher Ed column and op-eds (including my most recent one on immigration).